Many people have a distorted picture of God. They see Him as mean and intolerant. That is not the God of the Bible. God is a good God who is not out to punish you. The cross was a rescue mission. God sent Jesus to save the world, not to condemn it. The Bible is not a book of rules. It is a love story written by a God who is love. He has every intention of doing good things for you. He wants you to live a rich and satisfying life. The gospel is good news. 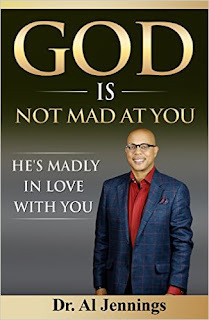 God is not mad at you; He's madly in love with you and wants to have a relationship with you.